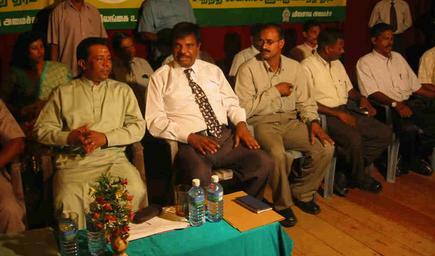 The conference was organized by the Batticaloa district Cattle Co-operative union, District Livestock Society and the Agricultural Compancy, sources said. 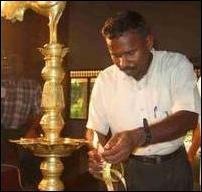 Government Agent (GA) E. Mounaguruswamy presided the conference. "Both Tamils and Sinhalese came from different parts of India to settle in Sri Lanka. Muslims also came through India. We brought our spouses when we came. But Muslim brothers came to Sri Lanka and married Tamil and Sinhalese women. We are all related in this sense," said Mr. Dissanayake. "The devastation to life and property that can be caused by war has taught us to avoid war at all costs. Tamils asked for a fair and just devolution of powers from 1905. Many Sri Lanka Governments in power failed to satisfy their just demands. 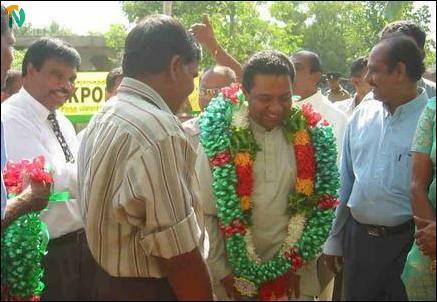 Chandrika Bandaranayake came to power with a strong support from the Tamil people. The country suffered the worst during her regime. "Prime Minister Wickremesinghe has benefitted from the knowledge gained by observing the failures of J.R.Jeyawardhane and other leaders in solving the ethnic problem. He will not repeat the same mistakes. That is why he entered into peace talks and making all efforts to take the peace process forward," added the Minister. Head of Batticaloa-Amparai LTTE Political Wing, Kausalyan, said, "Although our farmers are hardworking they have no access to required technology to reap the deserved benefits. We earnestly hope that the Minister will study their plight and make the necessary arrangement to enable the same facilities enjoyed by farmers in other parts of Sri Lanka reach our farmers. "We detest war. War was thrust upon us. War started only because our legitimate rights were denied. 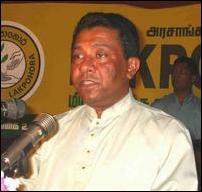 "Now the LTTE and the Government of Sri Lanka are engaged in peace talks. We all want the talks to succeed and the Tamil people are allowed to live free with the right for self-determination," added Kausalyan when addressing the meeting. Head of LTTE Economic Wing K.Nizam, Head of LTTE Administration Prabha, Parliamentarian G. Krishnapillai, Advisor to Ministry of Planning in Sri Lanka Government, Alizahir Moulana, Fertilizer Co-operation President Jegath Perera, Implementation Commissioner Kalyani Sathurusinghe and several other officials participated in the conference. The Minister undertook a tour to the Karadiyanaaru Agricultural Research facility and promised to allocate Rs 129m necessary to develop the facility. He later participated in the Samurdri Scholarship grant function held at the Kallady Vipulanantha Music and Dance school, sources said.